You wouldn’t entrust your health to a doctor who doesn’t have science to back up his diagnosis, so why trust your happiness to anything less? 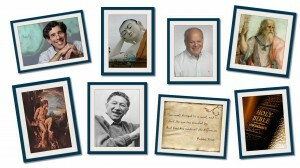 Our guiding premise is that happiness is when your life fulfills your needs. The question, then, is what are your needs? Our answer is based on an integration of work from leading research in positive psychology, neurobiology, medicine, evolution, mythology, anthropology. It is from these sources that we’ve identified the nearly 60 Happiness Essentials everyone must fulfill to feel happy. 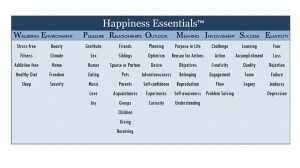 Your Happiness Planner™ results are calculated by identifying your unique Happiness Essential needs. I’m sure you’ll agree, you’re a complex individual with many needs. It’s for this reason that all versions of the Happiness Planner™ ask you about all of the nearly 60 Happiness Essentials that we all need to fulfill for happiness. Temperament, or personality theory, goes all the way back to Plato and has stood the test of time as a useful tool for personal development, employment, and dating. Included with every Happiness Planner™, our Instant Personality Test identifies your personality style in just a few seconds. While not quite as accurate as more complex and time-consuming tests, such as the Myers-Briggs Type Index or Keirsey Temperament Sorter, this quick and easy test is surprisingly effective. Your results are presented in the form of a customized Personality Style Guide, tailored to your type. 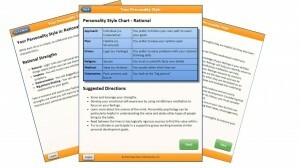 Using the results from the Instant Personality Test, your Personality Style Guide is tailored to your Personality Style. Explore your personality strengths and weaknesses, and learn how to overcome those weaknesses and leverage your strengths for greater success in reaching your personal development goals. You’ll also be given Expert Links to quality in-depth content on temperament theory and it’s implications for your life. How happy are you? The answer to that question is provided by our novel Happiness Index. 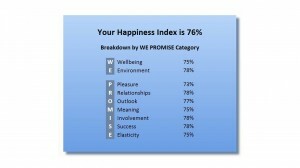 Based on your answers, the Happiness Index shows you the big picture by consolidating all your Happiness Essentials into a single Happiness Index Score and broken out into the nine WE PROMISE categories of need: Wellbeing, Environment, Pleasure, Relationships, Outlook, Meaning, Involvement, Success, and Elasticity. How do you actually get the happiness you desire? Our Happiness Guide shows you the process. Based on the 3 Steps to Happiness, Discovery, Planning, and Action, you’ll learn how to use your Happiness Plan™ to actually make changes in your life. Changes that stick with you over time. Your Happiness Plan™ is the core of the application. Sorted by those needs of high importance to you and also which are most unfulfilled, it shows you your top unfulfilled needs and guides you to plan and take action to fulfill those needs. It is the act of working on fulfilling your needs that brings happiness. Happiness Planner™ Discovery Edition subscribers can only view their Top 5 needs, Happiness Planner™ Success Edition and Happiness Planner™ Premium Edition subscribers can see all of their nearly 60 Happiness Essentials. Your life changes over time and so should your Happiness Plan™. It’s for this reason we offer the ability to review any of your Happiness Essentials to adjust based on changing life situations. This feature is available to our Happiness Planner™ Success Edition and Happiness Planner™ Premium Edition subscribers only. What aspects of your life are going really well? Find out with our Happiness Skills List. 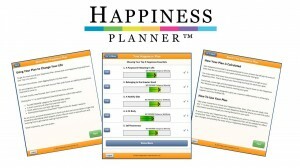 Using the same data as the Happiness Plan™, your Skills List shows you where you’re succeeding in meeting your needs. Sorted by those needs that are of high importance to you and which you are most satisfied with, you’ll gain insights you can use to apply your successes to your less fulfilled needs. Not every Happiness Essential is equally important to everyone. Using the same data as the Happiness Plan™, the Ignore Needs List shows you those areas of your life that are of little importance to you and which you can safely ignore for personal development purposes. This valuable report helps keep you from wasting your precious time pursuing personal development goals that are trendy, recommended by others (with different top needs from you), or which you feel you “should” do but aren’t passionate about. Life is short and you’re busy. 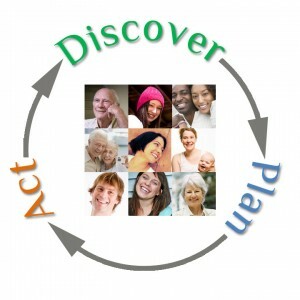 Quick Actions are your shortcut to personal development and greater happiness. Let’s face it, personal development is hard work and takes time so the last thing you want to do is waste your valuable time weeding through the endless amounts of low-quality information about how to fulfill your needs. Fortunately, you don’t have to. We’ve done the hard work for you, having spent hundreds of hours reading and viewing thousands of sources, we’ve identified the best of the best, our Expert Links. 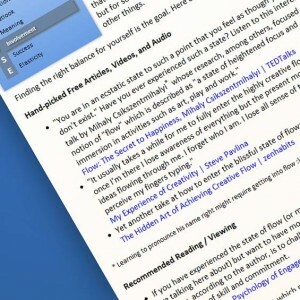 Expert Links guide you to a variety of sources, from free websites, blogs, and articles, to paid in-depth sources like books, videos, and courses, many available from trusted online stores like Amazon.com. Discovering your needs is just the first step. Next comes Planning. This is where the Action Planner comes into play. The Action Planner helps you build a plan of action, as general or specific as you’d like, you can use to keep yourself on track and moving forward over time. You’ll begin by setting out a long-term vision of your need fulfilled and use that as a touchstone to guide your personal development over time. From there, you’ll set medium and short-term goals, eventually deciding on actions you’ll start taking right away, actions you’ll keep track of and update your progress in our Action Tracker. By tracking your progress, you’ll learn when it’s time to consider a need adequately fulfilled and it’s time to move on to another need. Using the concept of easy and frequent updating, the Action Tracking process works best with a daily “check in” you do at the same time you last check email during the day. It only takes seconds, seconds that save you hours by helping you know you’re on the right track for maximizing your happiness. 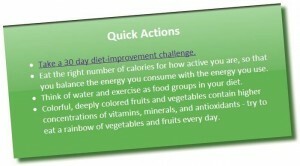 In addition, the Action Tracker includes an optional daily dairy you can use to make notes to yourself about your progress and plans. Action Tracker is an integral part of the Happiness Habits™ process. Making changes stick is hard work. Just think about New Years’ Resolutions. Fortunately, you have our Happiness Habits™ process to help. The Happiness Habits™ process guides you step-by-step to move smoothly towards greater happiness by ensuring you don’t get stuck in the Discovery and Planning stages (or skip them entirely). By setting very short-term goals based on your free time and interest level, it keeps you engaged and moving forward. And we’ll share with you a top-secret technique, based on the science of persuasion, you can use to manipulate yourself to greater success in just a few seconds several times each day. It works, it’s easy, and, like the rest of the Happiness Habits™ process, it’s only available to our Happiness Planner™ Premium Edition subscribers. Connecting with other people passionate about their happiness and personal development is one of the best ways to get results. Our Happiness Forums give you that connection. Not only can you learn from others, you can help them, too. By sharing your experiences, expertise, and talents, you’ll help fulfill a wide variety of your Happiness Essentials in the categories of Relationships, Outlook, Involvement, and Success. We offer three core forums: Public, Private, and Premium. The Public forum is available to all Happiness Planner™ and Happiness Toolkit subscribers. Posts here are visible to everyone on the internet but, since that’s not always what you want, we offer the Private and Premium forums. Imagine sitting in a room full of other people, like you, working on their personal development. No jerks, nobody abusive, only friendly faces. That’s the advantage of our Private and Premium forums. It’s a safe place to share your inner self and it’s why we only make these forums available to people committed to their happiness, our Happiness Planner™ Success Edition and Happiness Planner™ Premium Edition subscribers. Happiness Planner™ Premium Edition subscribers additionally get access to our Premium forum. The Premium forum is monitored by our Happiness Experts, who regularly participate in discussions. Additionally, because of the exclusivity, the membership is especially engaged in their personal development. It’s the ideal place to get top-quality answers and offer top-quality advice. The Happiness Planner™ does a great job of identifying your top needs but what it can’t do is look at the big picture and the subtle details. That’s where the human touch of an Expert Analysis comes in. A Happiness Expert personally looks at your entire suite of results, from your Personality Style to every one of your Happiness Essentials, to look for high-level patterns and subtle clues to help you move forward quickly and effectively in building your happiness. Often, when we conduct an Expert Analysis, we find many of your top needs have a common solution, say finding a spouse, changing jobs, or doing something more meaningful with your life. We tell you about those big-picture trends but also go much further by spotting blockers. Blockers are those needs, often quite secondary to your overall focus, that need to be worked on first because they are preventing you from moving forward effectively in other areas of your life. Often, we’ll spot blockers that have been holding you back for years that can be fixed with just a little extra attention. Expert Analysis is included with the Happiness Planner™ Premium Edition and is available to Happiness Planner™ Success Edition subscribers for a fee. Click here to learn more (opens in a new window). Included with the Happiness Planner™ Premium Edition and available to our Happiness Planner™ Success Edition subscribers for a fee, an Initial Coaching session can be invaluable to ensure you’re maximizing your happiness and personal development. Conducted after you’ve completed the Happiness Planner™ questionnaire, you’ll gain deeper insight into the trends and big picture of your results. When combined with an Expert Analysis (included in the Happiness Planner™ Premium Edition), an Initial Coaching session lets us optimize your Expert Analysis report and give you even better recommendations for your consideration. How great does it feel to have a Happiness Coach ready and waiting to support you, to keep you on track, and to be there when things aren’t going right? That’s the benefit our Happiness Planner™ Premium Edition subscribers get with an hour of Happiness Coaching provided every quarter. Quarterly coaching is a good balance between support and guidance vs. cost but Happiness Coaching is also available to any Happiness Planner™ subscriber at any time for an hourly fee. I think you’ll agree, it would be hard to be in the business of happiness and not make our customers happy. That’s why all our products come with a 30 day money-back guarantee. We want you to be happy and we also want you to have the opportunity to try our innovative products without worrying about the quality and value you’ll receive. We’re confident we can help you build a happier, more fulfilling, and satisfying life. So confident, we offer this risk-free guarantee on all our products and services. To ensure your financial transactions stay safe, we use PayPal to process your order. When you order, only PayPal gets your credit card data. We never see it and never store it. Note: you do NOT need a PayPal account to use PayPal. After placing your order, simply look for the “No PayPal account? Pay using your credit or debit card” link and click it to proceed.